A surgical training mission to Nizhny Novgorod, Russia took place from September 24th through October 8th. The mission was funded by The Gift of Life, Inc. and by Russian Gift of Life USA. The mission was dedicated to the memory of Russian Gift of Life Board Member Peter Tymus, who passed away on July 20, 2016. Nine children received the gift of life. The parents and families that received these operations are grateful that their children have been given a second chance at a healthy life. This mission was part of a series of missions to the Nizhny Novgorod Cardiac Center. The goal is to improve pediatric cardiac services in this region of 1.3 million people. Since 1993, Dr. William Novick and his non-profit medical teams have performed over 7,000 pediatric heart surgeries in more than 30 countries worldwide. 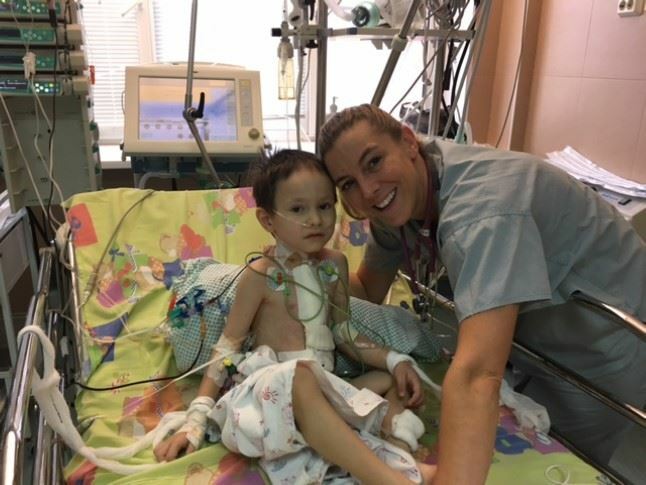 Dr. Novick believes that teaching and organizing local healthcare teams to perform surgery and care for children with complex heart defects is just as important as performing lifesaving heart surgery himself. The visiting teams work side by side with their local colleagues at all times providing direct hands on teaching at all levels.